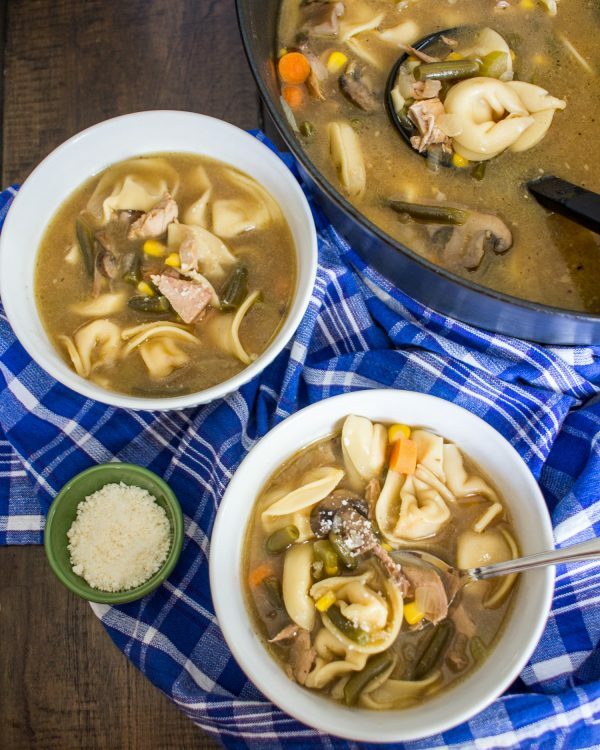 Wondering how to make turkey soup from scratch using your Thanksgiving leftovers? 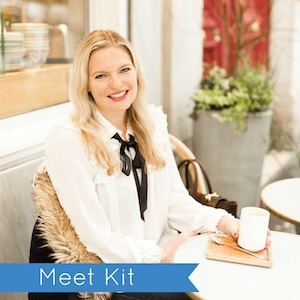 Let me explain the simple process from start to finish. 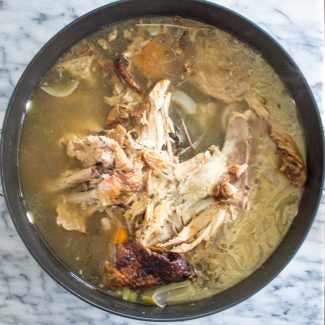 Thanksgiving is coming up and you might be wondering how to make turkey soup from scratch using your Thanksgiving leftovers. Today I am explaining the process from start to finish. It takes some time and patience, but it is definitely worth the effort. 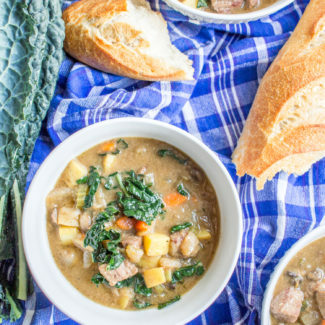 Making soup is a way to make the most out of your leftovers, and it yields a lot of food. 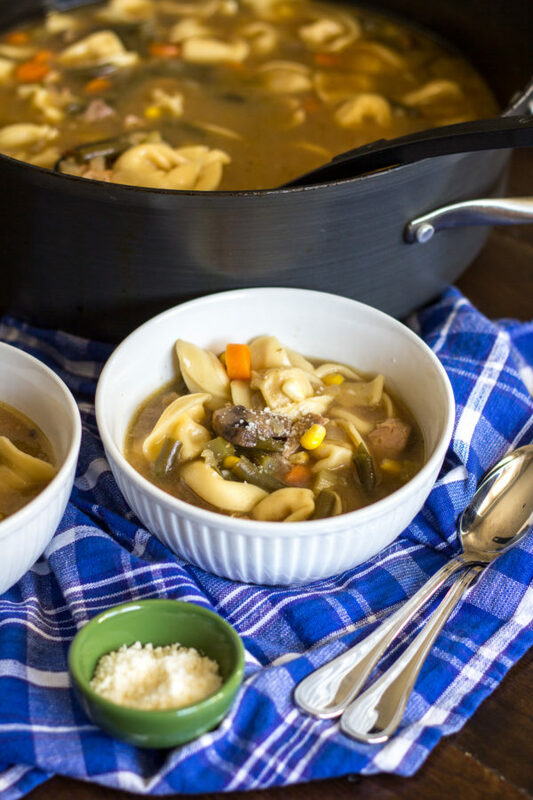 If you need a little break from turkey after Thanksgiving, this soup freezes very well, so you can certainly save it for a cold winter day. 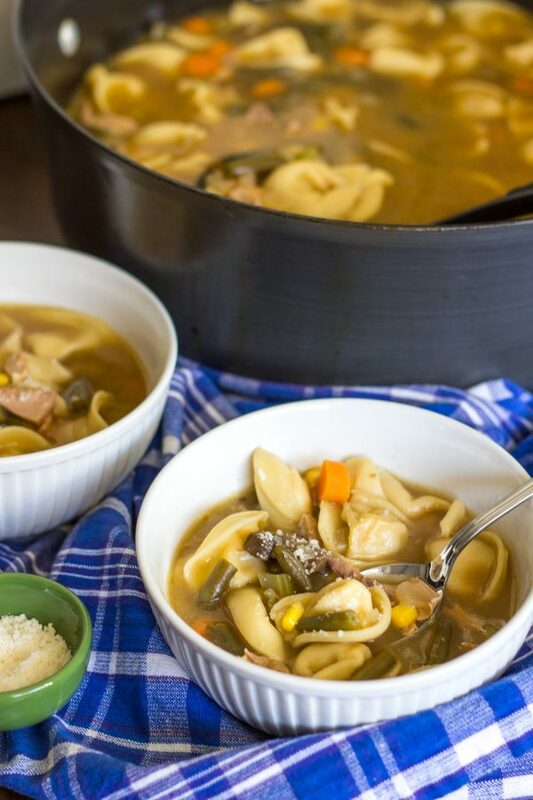 The total preparation time for this soup is about 4 hours, but only a fraction of that time is active preparation time. 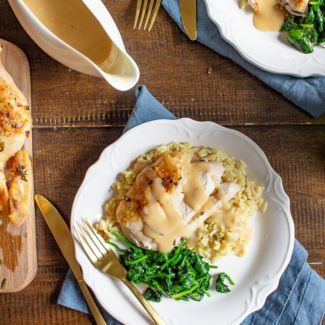 If you do want to significantly cut down the total preparation time, you could use store-bought chicken stock instead of making turkey stock from scratch. 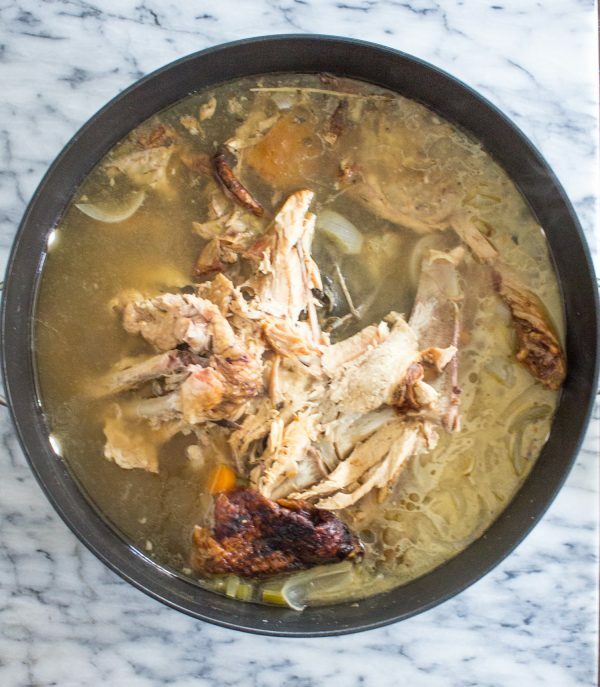 I need to let you know that I do not recommend making stock from a brined turkey. In my experience, the stock has an unpleasant bitter taste. 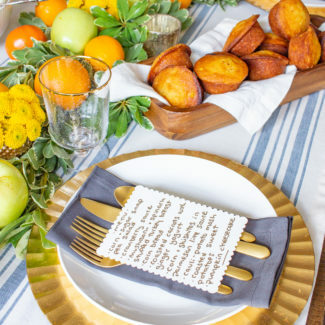 You might notice that this soup has a darker colored stock. That is because I added the leftover gravy to the stock. 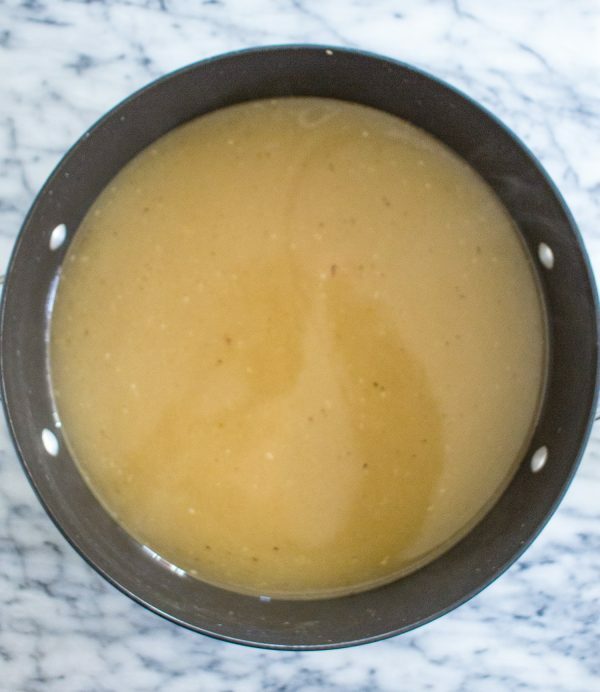 This is a simple way to boost the flavor of the stock and a clever way to make sure that your gravy doesn’t go to waste. 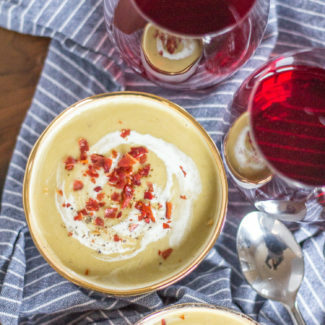 One thing that I love about soup is that you can add whatever you like. 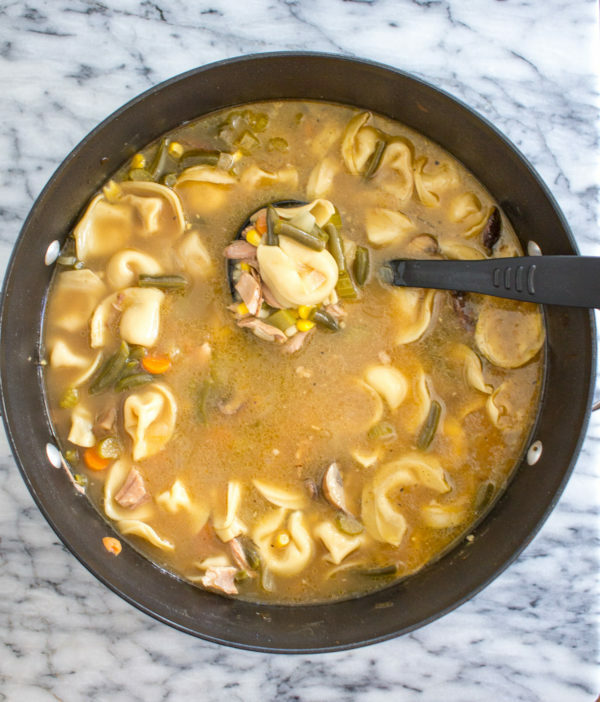 I always add mushrooms, green beans, and tortellini to this soup. My Dad likes to add broccoli and barley (in addition to the tortellini). I have added spinach, beans, and peas in the past. 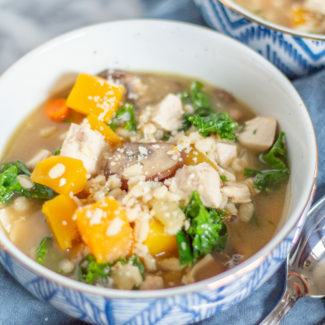 If you want to make a smaller batch of the soup, you can absolutely use chicken. Charles loves this soup more than anything. I think he looks forward to the post-Thanksgiving soup more than Thanksgiving itself. 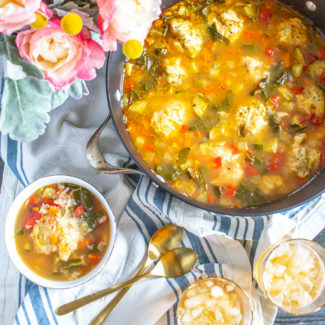 While the preparation time for making this soup is a few hours, each step is incredibly easy. First you place the turkey bones in a pot with chopped carrot, celery, and onion. Then you cover with water and let simmer for 2-3 hours. Next to strain the soup to remove the bones and vegetables. With the stock ready, it is time to complete the soup. I simmer onions, mushrooms, carrots, and celery and then add the stock and bring it to a simmer. Next I add diced turkey, corn, green beans, and leftover gravy. 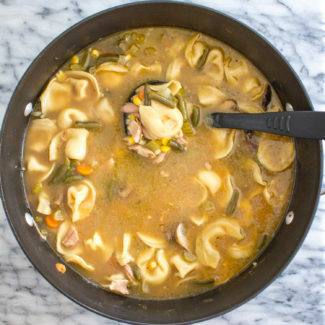 The finishing touch is cooking some fresh tortellini in the soup. I like to serve the soup with a sprinkle of Parmesan and a slice of fresh bread. The first step is to make the stock. 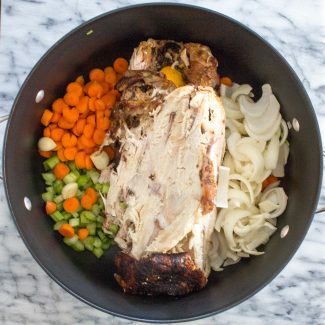 Place the turkey bones in a large pot, along with 1 cup of the carrot, onion, celery, and red pepper flakes. Then fill the pot with the water. You want to cover all of the bones with water. Bring to a simmer and let simmer for 3 hours, until the water becomes a light golden colored stock. 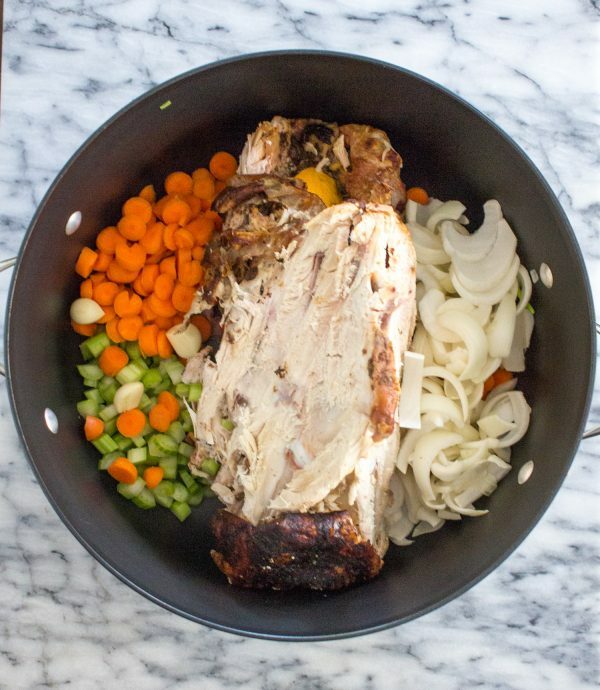 Place a strainer in another large pot, and pour the stock and bones through the strainer. Then, using the pot you used for simmering the stock, melt the butter over medium heat. Then add the onions. Season with salt and pepper, and simmer for 3 minutes. Then add the mushrooms, and let simmer for 8 minutes. If you love garlic, this would be the time to add a few cloves. Add the celery and carrots, simmer for 1 minute. Then pour the stock into the pot and bring to a slow simmer. Once the stock is simmer, stir in any extra gravy that you have leftover. Add the turkey meat, corn, green beans, and any other vegetables you want to add. Let simmer slowly for 30 minutes. Then add the tortellini and cook until it floats. 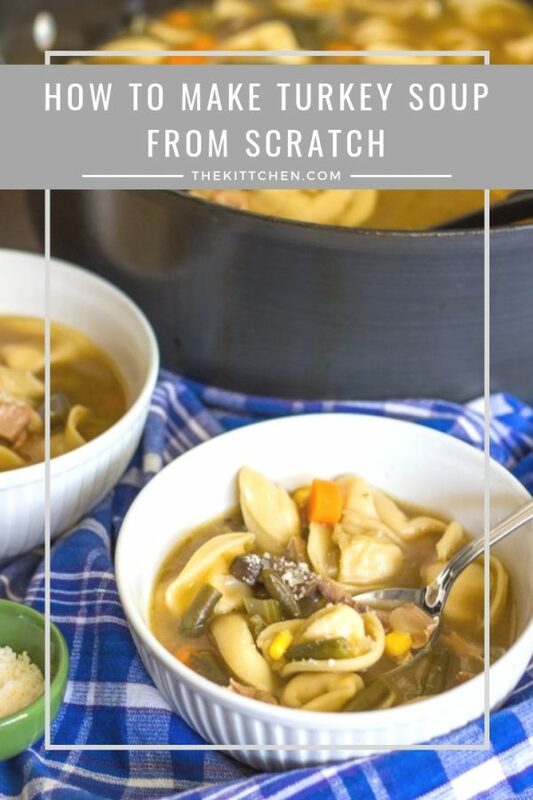 You can serve the soup right away, keep it in the fridge for a few days, or freeze it for later.